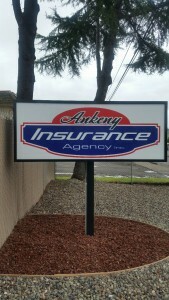 About Ankeny Insurance Agency, Inc.
Bill Ankeny changed career paths in 1994, becoming a captive agent in Roseburg. Growing up in Douglas County he had many friends & family that soon became clients. In 1995, daughter Addie joined him in the business as an Agent, along with sister-in-law Jodi as Secretary. In 1997 he saw the need for an Independent Agent and went out on his own. Having more companies available meant more options for his customers. In 2001, Janet Ankeny joined her husband as an Agent in the office. Thru the years, the Agency has grown by referrals from our wonderful customers. We strive to provide great customer service and have been very blessed to maintain generations of families as customers for many years.